This work is entitled \"Suleyman\" and is inspired by the border of a medieval Islamic manuscript. 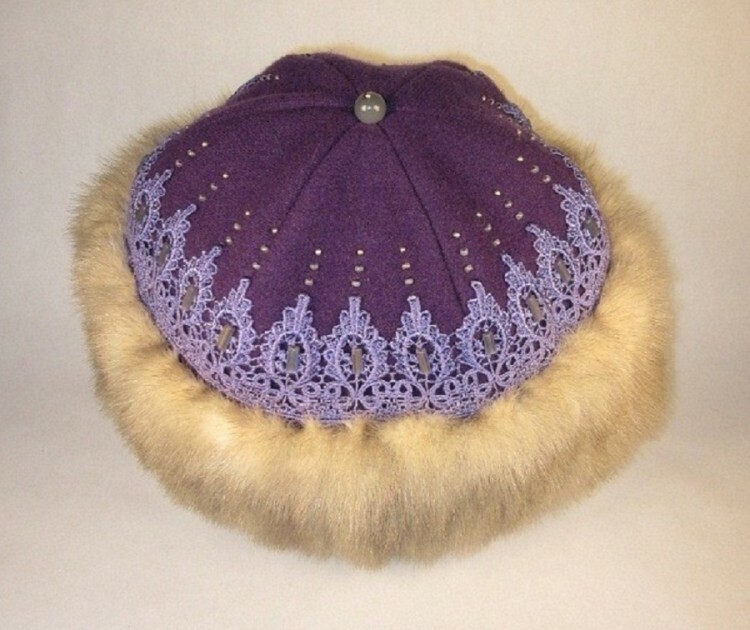 It is executed in purple wool with hand dyed, hand applied lace and beading above a fur cuff. The fur and wool are recycled from vintage coats.